When SAP announced their collaboration with Apple providing an SDK to build iOS apps, we were really excited to see what kind of apps we could build for our enterprise client base. 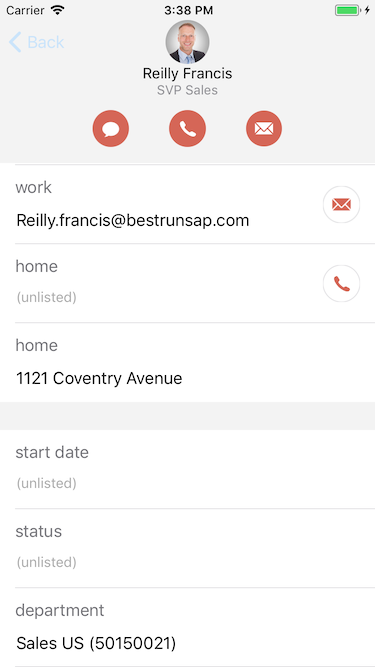 After spending some time with the tutorials that the SAP team put together and talking with the SAP and Apple teams, we decided to build an example app that functions as a corporate directory and contact list. 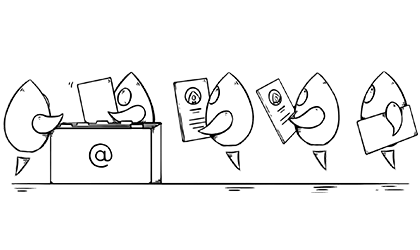 Why a Corporate Directory / Contact List? We have a dashboard with relevant HR-level information for each employee. Employees can view company-wide announcements and videos from our weekly status calls and technical learning calls in the app. In addition to contact information, we can integrate with iOS to provide caller ID and device-wide search features without having to add company contacts to the user’s personal Contacts list. This is just the beginning of what can be done, and when you consider the wealth of features that SAP brings with HR data, the sky is the limit. In addition to being a useful tool for internal employees, this same idea can be used for customers, vendors, or any other people important to your business. 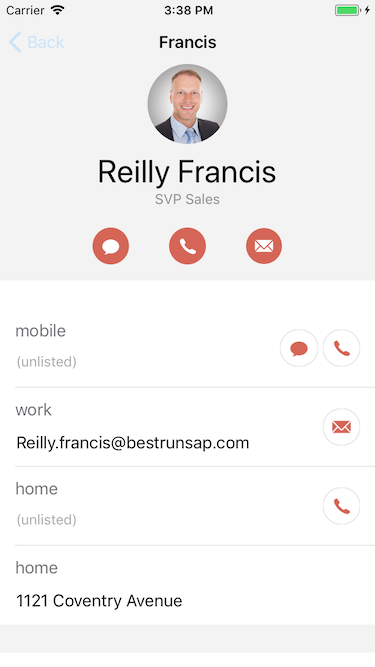 Building a contact list app was a nice fit for experimenting with SAP’s Cloud Platform SDK for iOS. It is slightly more complex than the existing tutorial offerings, but small enough in scope that it’s easy to understand and explain. The list pulls all the Users from Success Factors User Management and displays them alphabetically. 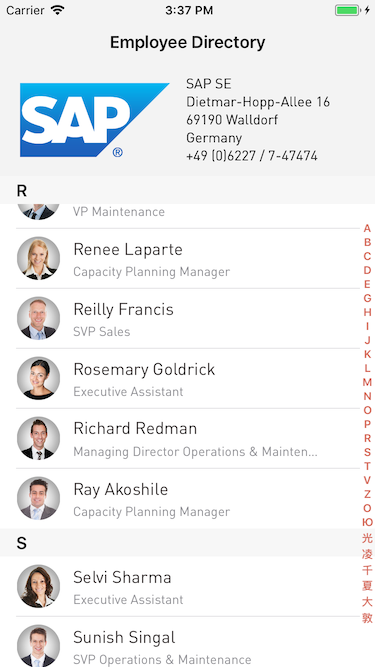 It calculates and displays a side index for quick access to all the contacts in the list. Adding support for basic name searching was a snap using the query capabilities provided by SAP’s SDK. 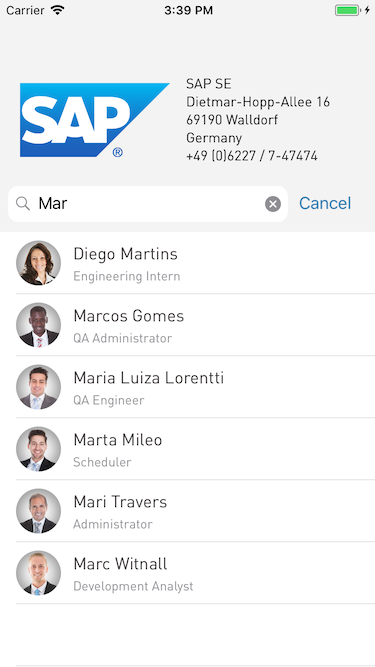 The detail screen shows phone, email and address information for the contact, as well as some basic information about their employment. The header section has a nifty animation that shrinks the contact’s image and name as the user scrolls up. The message, phone, and email buttons can initiate each contact method. So how did we build this using SAP’s Cloud Platform SDK for iOS? In our next post, we will describe how we set up the project in SAP’s Cloud Portal, and how we used the SAP Cloud Platform SDK for iOS Assistant to generate an Xcode project.